Water Heaters Only, Inc Los Angeles offer water heater repair and replacement services 7 days a week. We specialize in commercial, tankless and residential water heaters. Over 500,000 happy customers since 1968, call us 24/7/365. Low prices, quick service and quality products with a warranty. Richco Plumbing Inc. and Rooter is based out of Camarillo and specializes in complete drain cleaning and commercial/residential plumbing services throughout the Ventura and Los Angeles area. Our professional technicians are trained and have the experience needed to handle any size job. Each of our technicians have been through training courses on providing the best customer experience possible to help ensure you will not have any further headaches or doubt we are the right plumbing company for you. Richco is constantly on the look out to purchase the most cutting edge technology to provide you with the best plumbing and drain cleaning and repair services in Ventura and Los Angeles County. We are a family run business servicing the San Fernando Valley for over 30 years. 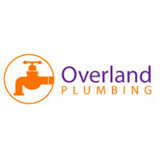 We specialize in all plumbing needs as well as remodeling and construction related work. Kenz Plumbing is the leading plumbing expert in Ventura County for Copper Re-Pipes and Pex Piping Re-Pipes for residential homes and commercial buildings. Our many years of experience will put your mind at ease. Drywall and stucco patching included on most jobs. We also provide slab leak detection and repairs. From the ground up or modifying your existing plumbing, we can handle it all. From rough-in to the finished product, our expert plumbers get the job done right. We specialize in high-end custom homes and are able to provide many references. Your project will be completed with attention to detail and extensive plumbing knowledge. Water Heaters, garbage disposals, stopped up drains, tankless water heaters... even the kitchen sink. 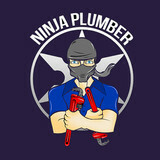 Full service plumbing repairs and expert installations. Faucets, sinks, and toilets. 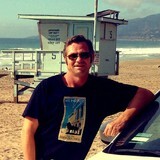 805-488-2733 - Free Estimates. All work is guaranteed and performed by qualified plumbing professionals. LA Plumbing Company is a full-service company that has been providing a wide range of plumbing services to countless homes and businesses in Torrance. From leak detection, piping services to new constructions and remodels, the company employs highly skilled plumbers and top quality equipment to get the job done right the first time. No job is too big or too small for LA Plumbing Company. Your comfort is their primary concern. Ask about their competitive prices and seasonal specials when you call for a Torrance plumbing service today. All parts and labor are backed with a 100% guarantee for your satisfaction and peace of mind. A plumbing contractor handles the installation and repair of water, sewage and natural gas pipes throughout a home, as well as interior and exterior faucets and fixtures. Plumbing contractors are also trained to work with water mains, septic tanks, laundry appliances, water heaters, sump pumps and other plumbing and pipe systems. Because plumbing repair work is done largely behind walls and beneath floors, some plumbing companies can also patch or replace tile, stonework and other surfaces. Although some Santa Paula plumbers are generalists, others specialize in specific areas; a 24 hour emergency plumber will handle urgent residential repairs, while others may be more skilled in remodeling, natural gas lines, overhead sprinkler systems and more. Find a local Santa Paula plumber on Houzz. Narrow your search in the Professionals section of the website to plumbing contractors in Santa Paula, CA. You may also look through photos of Santa Paula, CA projects to find a licensed plumber who has worked on a project similar to yours. Here are some related professionals and vendors to complement the work of plumbers: General Contractors, Septic Tanks & Systems, Kitchen & Bath Designers, Kitchen & Bath Remodelers.